Quick-witted, thoughtful, upstanding, sharp and always ready.. Elrohir does what he has to keep his other pack members safe. Evermore, this wolf cherishes and fulfills his alpha's needs at many times. He can become less patient with aggravating pups and may often snap unless it is the alpha who he remains obedient and gives firm allegiance to. Elrohir can be very quiet at most times and may sometimes be quite oblivious to any intensely deep feelings that may be evoked towards him.. if there were any to occur. Elrohir had been in a previous pack before joining and becoming connected to the Druid pack. Never was he the top leader back then, but instead.. a great captain who was highly known for being the pack's noble knight. Corruption took place and existed within the assembly to where disloyalty began to arise and come into place. His previous pack members turned against each other and in the end was a great battle of bloodshed and the pack was eventually demolished. Wandering into many unknown territories as a loner, Elrohir finally came to the land that belonged and was of the Druid packlands. Elrohir was only then revealed to the secret and cleverly hidden territories within the terrain after he had bonded with a few of the Changer inhabitants who had came to meet with him after sensing that the wolf was no threat. Residing with the tribe for a great period of time, the wolf had proved his own worthiness and compatibility he possessed in order to obtain his high rank and achievement. Elrohir may have quite increasingly exceeding strength in battle; however, his power is not the greatest out of all leaders in the high ranks. (The alpha is often undoubtedly one of the strongest.) Having great wisdom but not of a high level as an elder does, speed is Elrohir's advantage and natural aptitude he obtains. His coat is of a blackish colour with the hint of a few white and greyish markings within. Elrohir's distinctive colouration of eyes consist of a bright ember colour. His body is quite large with a broad shape, muscular neck, and distinctive facial ruff. Elrohir's tail is of a lengthy size and tends to have a slight curve towards the end. His ears are pure black; however, there is a mixed colour of white and grey within the inside of his ears. Elrohir's chest is rather broad which links to his considerably large size of a figure. Other: His accent would be English. The lingering forest remained eerie with its absence of light and uneasy atmosphere; however, this was not due to any extreme amounts of foliage that graced the wood's designated surface as many plants were hardly sufficient enough to live in accordance within the grounds. It would seem remarkable to one to be able to find areas where such furtive light rays would attempt and have the capability to shine through. Within certain terrains, even the soil, itself remained damp for a lengthy period of time. The territory was such a considerably great place for hiding at times; if one was able to withstand the conditions. Perhaps there was reluctance and disinclination to come upon this land; nevertheless, Elrohir was satisfied with this sensational and dark habitat. This was the pack's place of living and it had expectantly earned its everlasting negative reputation to many outsiders. This was a place of living for the strong and not for any repugnance creature who was never to be welcomed; however, on the other hand, it was down to the alpha who was and was not to be accepted. Elrohir continued to proceed with wandering the grounds as he kept firm patrol on the outer border. He subdued his anticipation as he kept his movements to a quiet sound yet was pursuing at the same time in a swift manner. Often, the wolf would avert his radiant orbs to the surroundings as he trotted along with minor apprehension. The male had been reduced to examining all areas as well as the nebulous parts of the territory. The rugged trees, having been broken and worn out, were almost always to be observed in their extently state of deathly existence. 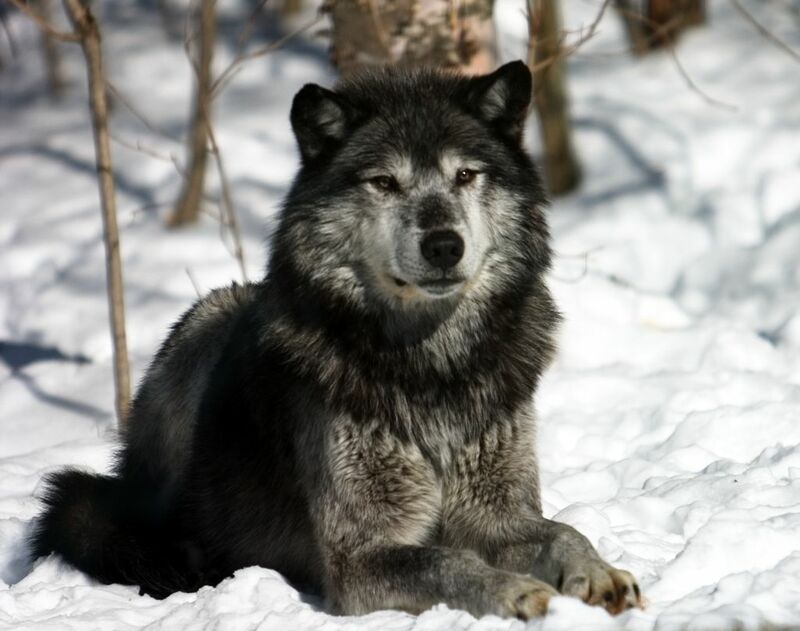 There was no change or any heavy disturbance of scent in the atmosphere so without persisting any further in his patrol, Elrohir came to a final decision and scurried with rapid steps as he reverted back to the pack. Knowing that if he seeked dilligently and followed back in the right accord, his journey would not be of too much difficulty. It had been a brief period of time before Elrohir had finally succeeded in preceding back to the dens. There was little surprise to Elrohir, who now was bestowed at the sight of the emptiness within the place where the pack members would dwell. Disregarding any decisions that were made, the male upheld his posture while observing the cessation of life. Producing an uttering huff, the wolf brought attention to the scent of the pack and began to monitor its trail with his nose. He sniffed a few times before re-establishing the specified course and making haste to seek out the pack's whereabouts. Conclusively, the male had been fortunate enough in encountering the other wolves. Taking into vast account of the various scenes that were taking place, Elrohir inhibited any involvement and as an alternative, he made movement to a desinated spot while keeping an unyielding watch on the fight that was existing right before them. Typical for the lead killer to jump at the chance to show off his deadly fighting skills; although, Elrohir did not deny that the maned wolf seemed to have much accountability and control over the situation. Accepted! I love his history. You may start role playing. And I find you more than acceptable as Druid Beta Male!